Many arctic dwelling animals—from polar bears to Snowy Owls—are predominantly white due to the snowy nature of their environment, an example of convergence. Convergence, or convergent evolution, occurs when unrelated organisms evolve similar features. Often it is caused by the organisms evolving to exploit a similar resource, but with a different evolutionary history. There are many examples in the bird world, two of which are illustrated below. Another remarkable example of convergence was uncovered only recently during the Field Museum's Early Bird project. It turns out that even though hawks and falcons look and behave very similarly, they are not related to each other. A classis example of convergence occurs between these two birds. Despite incredibly similar plumage, meadowlarks (left) are in the blackbird family (Icteridae) and lonclaws (right) are in the pipit and wagtail family (Motacillidae). 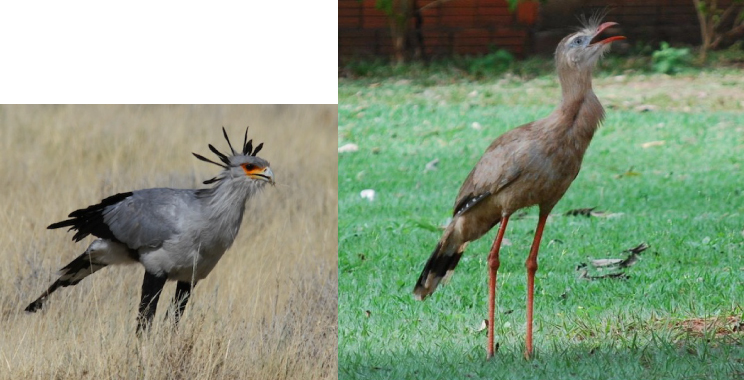 No doubt their similar plumage and behavior has something to do with the fact that they both live in open grasslands, meadowlarks in the Americas and longclaws in Africa. 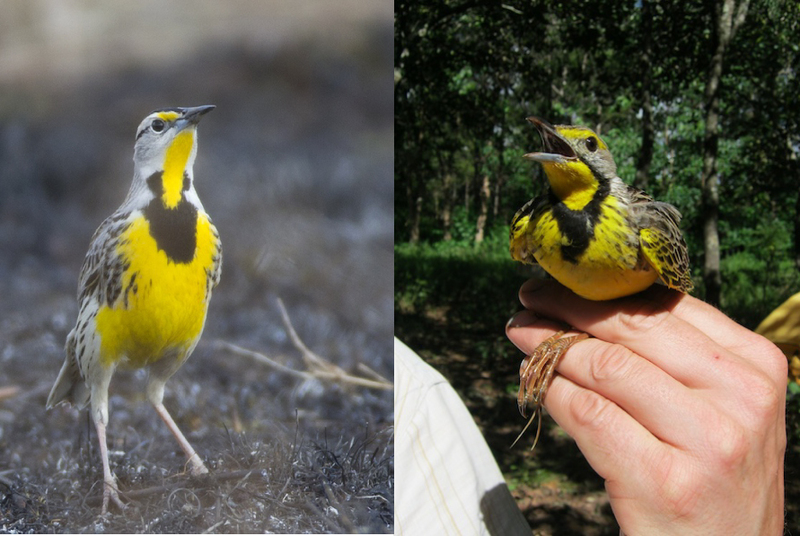 Photos by Jerry Goldner (left; Eastern Meadowlark Sturnella magna) and Josh Engel (right; Yellow-throated Longclaw Macronyx croceus ). This is why the longlaw is so named. See at left for more about this bird. Photo by Josh Engel.